Part of the Cover to Cover Bible study guides series, this book gives us fascinating insights into the life of the early church. Paul here is writing to the Christians in Corinth about the problems of disunity, immorality, lawsuits, prostitution, marriage, Christian freedom, spiritual gifts and resurrection  some of which had arisen from a misunderstanding of Paul's teaching. Even though written 2,000 years ago, Paul's letter is a rich resource for us in the twenty-first century. Our culture exerts enormous pressures on us  as did the Greco-Roman culture on the Corinthian church. Like the Corinthian Christians, we are called to be counter-cultural people, demonstrating the power of the kingdom of God in our generation. 1 Corinthians by Christine Platt was published by CWR in November 2005 and is our 19807th best seller. The ISBN for 1 Corinthians is 9781853453748. 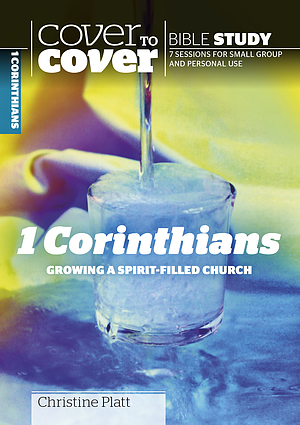 Be the first to review 1 Corinthians! Got a question? No problem! Just click here to ask us about 1 Corinthians.